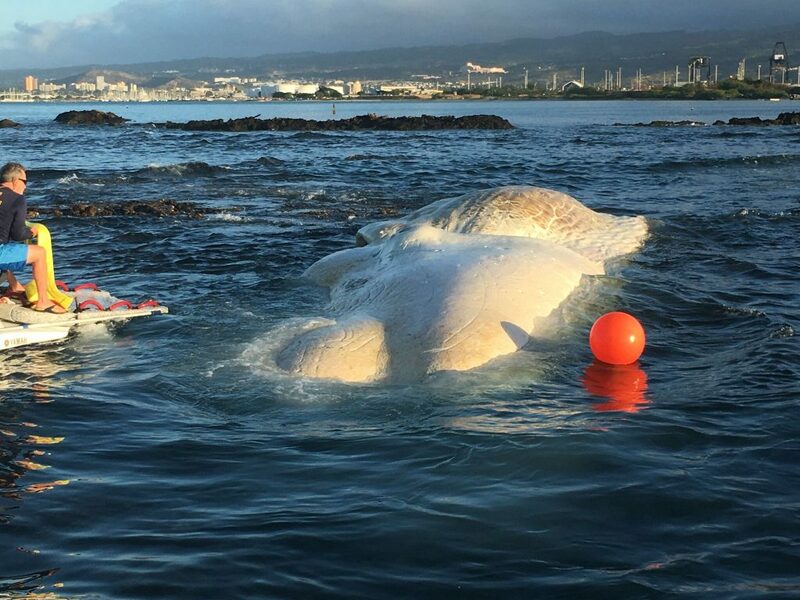 Two whales have recently been found dead in Hawaiian waters. 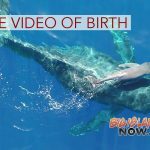 While both cases are under current investigation, the results of necropsies done on an adult sperm whale and a humpback whale calf on O‘ahu and Kaua’i, respectively, were revealed at a news conference on Tuesday, Jan. 29, 2019. Dr. Kristi West of the Marine Mammal Stranding Team Lead with the Hawaiʻi Institute of Marine Biology, said the sperm whale that is beached in a remote area near Campbell Industrial Park in West O‘ahu, was a full-grown adult that was originally around 55 feet in length, with its remains now reduced to 45 feet. There was no marine debris found in its stomach, and with few digested remains, was likely sick. Dr. Kristi West speaks about the whales at a conference on Tuesday, Jan. 29, 2019. PC: DLNR. Along with the efforts of NOAA, the remains and the shoreline will be continued to be monitored as the whale continues to decompose. 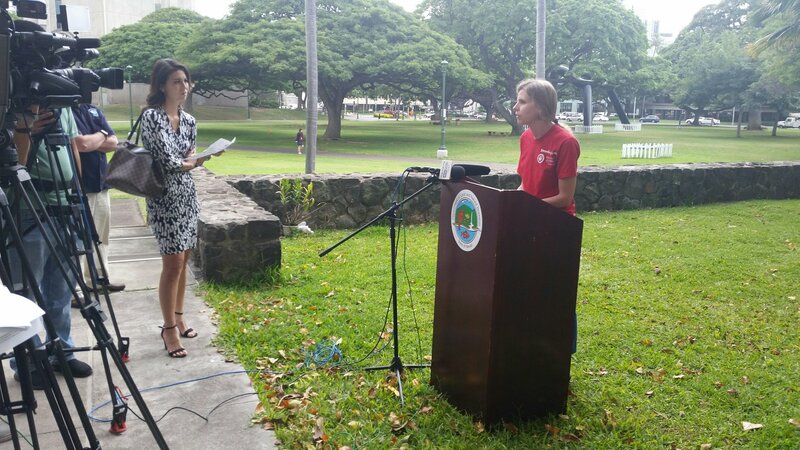 Jason Redulla, DLNR Division of Conservation and Resources Enforcement Chief, stressed that state and federal law protects both whales, and any removal of them is against the law. 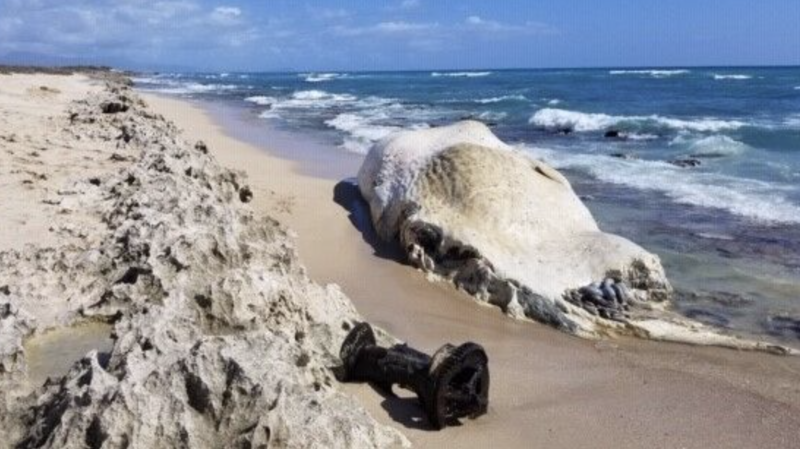 Sperm whale carcass washed up on O‘ahu. PC: NOAA. 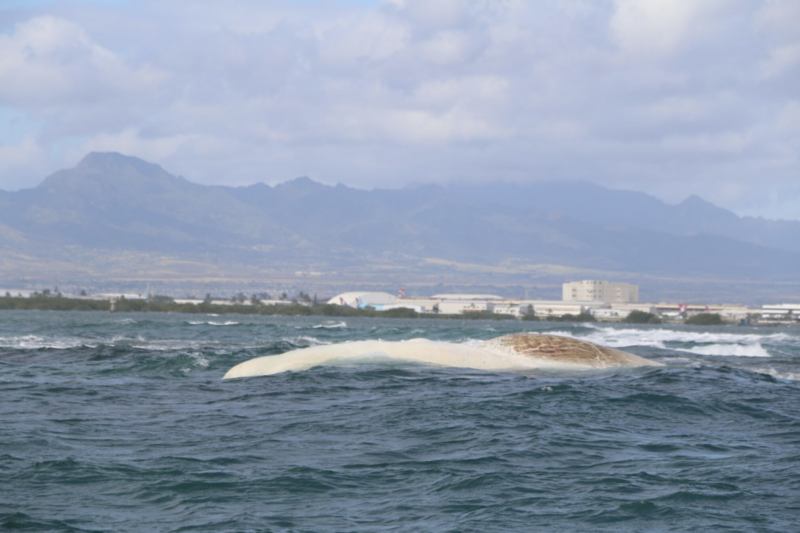 David Schofield, NOAA Marine Mammal Response Coordinator, said that the dead whale on O‘ahu will remain at its current location, and will ultimately leave behind its skeletal remains. He said he hopes people will respect it from a distance as the whale’s final resting place. As for the whale found Monday, Jan. 28, on Kekaha Beach on the west side of Kaua‘i, West said the necropsy on the female calf shows that she was not recently nursed. Cause of death was not known, although there were markings on the body that could’ve been caused by either boat propellers or shark bites. 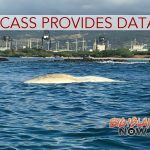 Malia Akutagawa, UH assistant professor of law and Hawaiian studies and member of Hui ʻĀina Momona, said the committee will work with the DLNR is observing proper cultural protocol in the care for the remains and the respect entitled both whales.